This is really a fun signage. 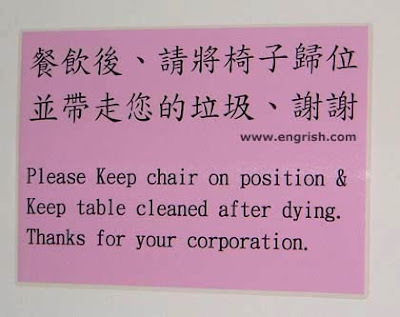 Does it mean that we need to keep the chair on position and keep the table cleaned after we are dead? Obviously, it does not mean that. It simply means we need to keep the place clean and in order after we dine.